Hike 8 was not only a way to check off an item on my 2016 Adventure Series, but fulfilled a DREAM trip. Yosemite. National. Park. Hike 8 was only a small part of this trip. For tons of pictures and a summary of my overall experience at Yosemite, you can visit this post. Back to Hike 8, I visited Lower Yosemite Falls for a quick but impactful hike. The falls are running delightfully full this spring with near average snowfall. This was my first waterfall stop during my visit and it was a thrill. It might be faint, but the mist you feel as you approach the falls connects you to the power and life of the mountains. 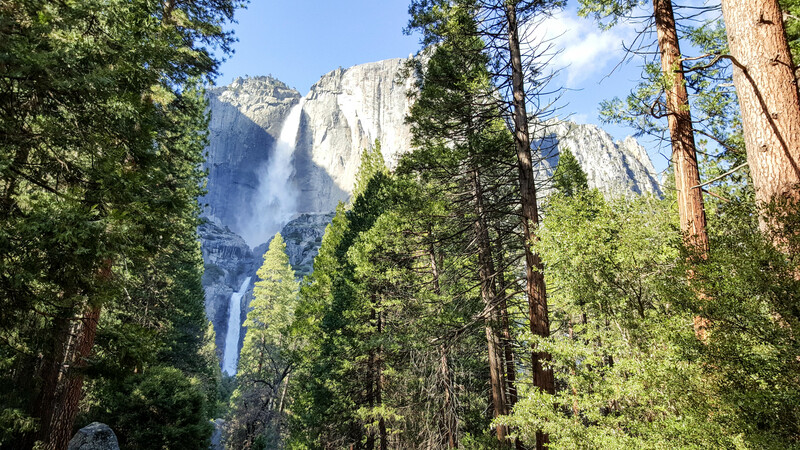 I would love to return and hike the Upper Yosemite Falls someday. Maybe during the 2017 52 Hike Challenge?